Last weekend at Birmingham Comic Con we were lucky enough to secure a copy of Studio McVey's Sedition Wars for the bargain price of just £10. It was an impulse purchase to be sure, but one that seemed too good to pass up. 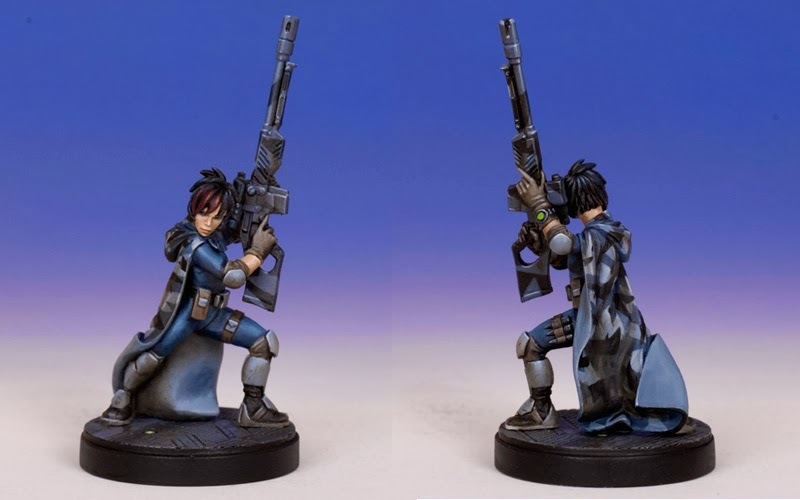 It had the look about it of board-game-meets-tabletop-system, similar to the previously reviewed Puppet Wars from Wyrd Miniatures - which had received a favourable score - but set in a futuristic, hard sci-fi world. Our first impulse was, of course, to tear open the box and start fawning all over our shiny new toys, but we hadn't forgotten that our copy of Mantic Games' Deadzone was due to fall into our laps in just one week, courtesy of our FLGS Titan Games, who had backed the game when it was still a Kickstarter project. Deadzone is also a hard sci-fi skirmish game which touches on both the tabletop and board game genre, so we knew that if we started off with Sedition Wars straight away then one system would inevitably end up being neglected or - even worse - abandoned in favour of the other. Rather than taking on each system in turn, we decided to tackle them both together! There are so many obvious similarities in styling that it made perfect sense to run their reviews as comparison articles, taking a look at box contents, material quality, casting quality and gameplay side-by-side. Obviously this will prove something of a colossal task, so other reviews will most likely be put on hold until this is complete, but we think we're up to the challenge, and it will ensure that both games get a fair assessment. 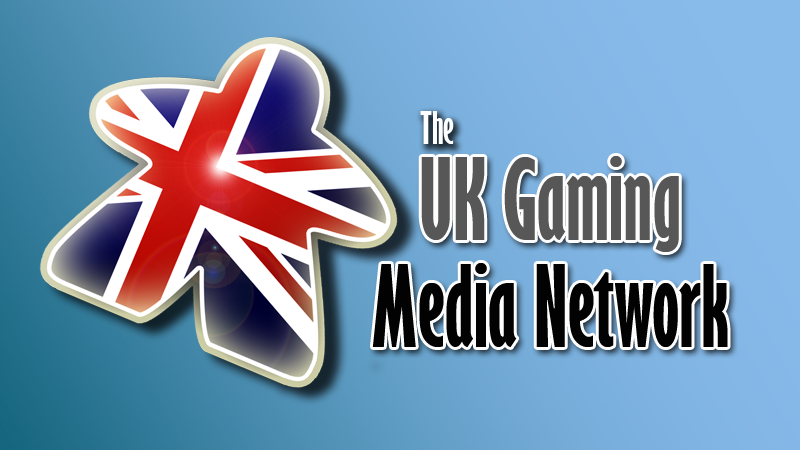 Let it not be forgotten that we are first and foremost a board/card game review site! Although on a personal level we do love our tabletop systems, we will be assessing both games from a board gamers' perspective, so out-of-the-box playability is key here. So, this afternoon we finally got our hands on the long-awaited Deadzone, so the box contents part of the comparison is ready to go! Seeing as we are looking at two games in one these articles will contain an awful lot of photos, so please bare with us as we spam your retinas with hobby goodness! Both boxes are certainly eye-catching, featuring some gorgeous artwork. They both show at a first glance that these are combat-based sci-fi games, and the hefty sizes of both boxes do leave players feeling like they've certainly been given their money's worth. 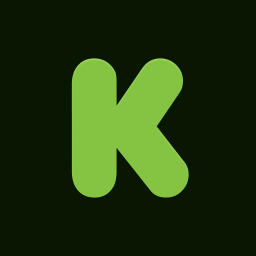 Both are two player game systems, with Sedition Wars seeing players take on either the human Vanguard faction or the mutated Strain in a self-proclaimed survival horror game set aboard the remote Alabaster Station. 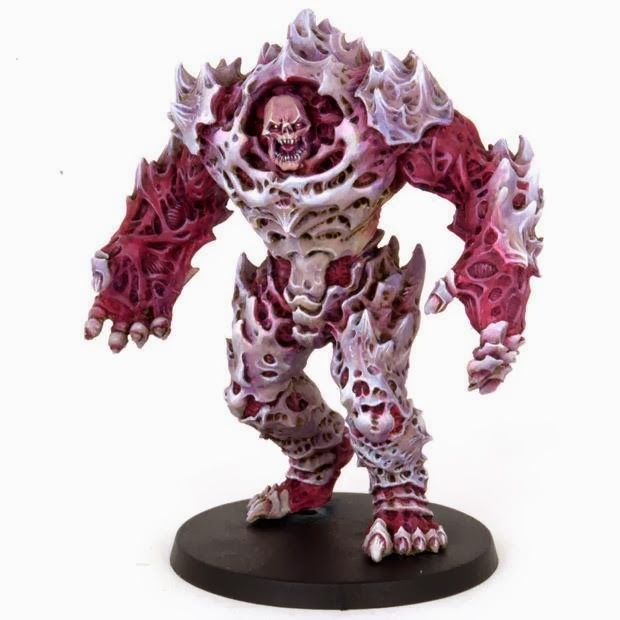 In Deadzone players take on the roles of either the human Enforcers or the mutated Plague in a game advertised as "War in urban battlezones". In both cases further factions can be bought at extra cost, but as we're addressing these as stand-alone games, we won't be delving into the details. Out of the two, Deadzone is the slightly larger product, having a deeper box than Sedition Wars. However, they both weigh a similar amount, so does that extra size mean more content, or does it just make the game more awkward to store? We'll just have to find out! One thing we did find interesting is that out of the two boxes, Sedition Wars does have more of a board game look to it than Deadzone. It's a triviality which is not going to affect the final scores for either game, but it was an interesting point that from a board gamers' perspective we probably would have selected Sedition Wars if presented with an uninformed choice of the pair on a store shelf. 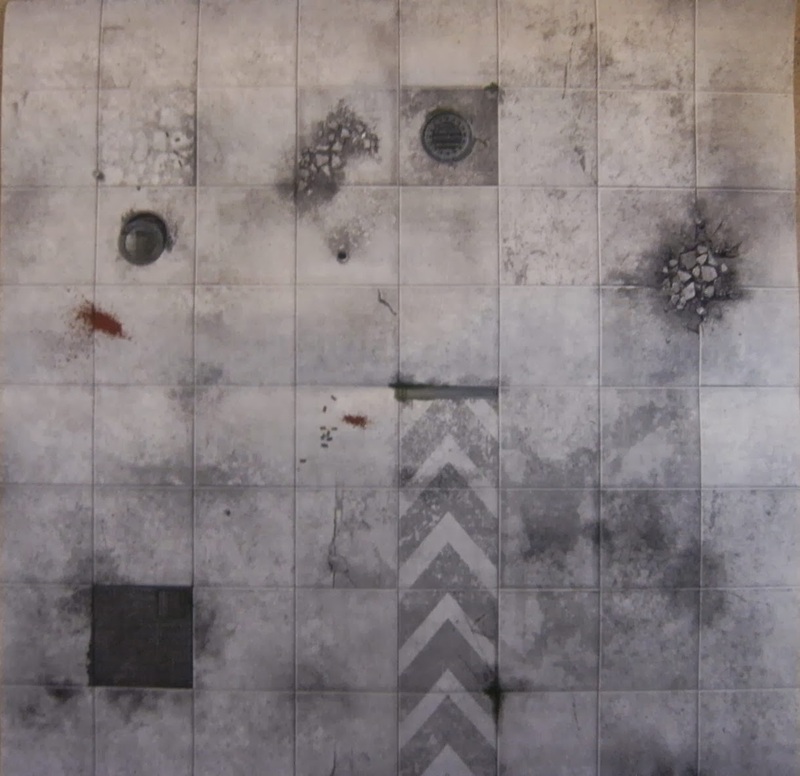 Sedition Wars' modular gaming boards. 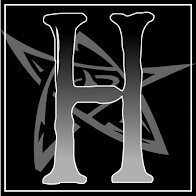 This may not be a standard review, but we'll still follow our usual process of showcasing the gaming board first of all, with Studio McVey and Mantic Games going down very different routes. 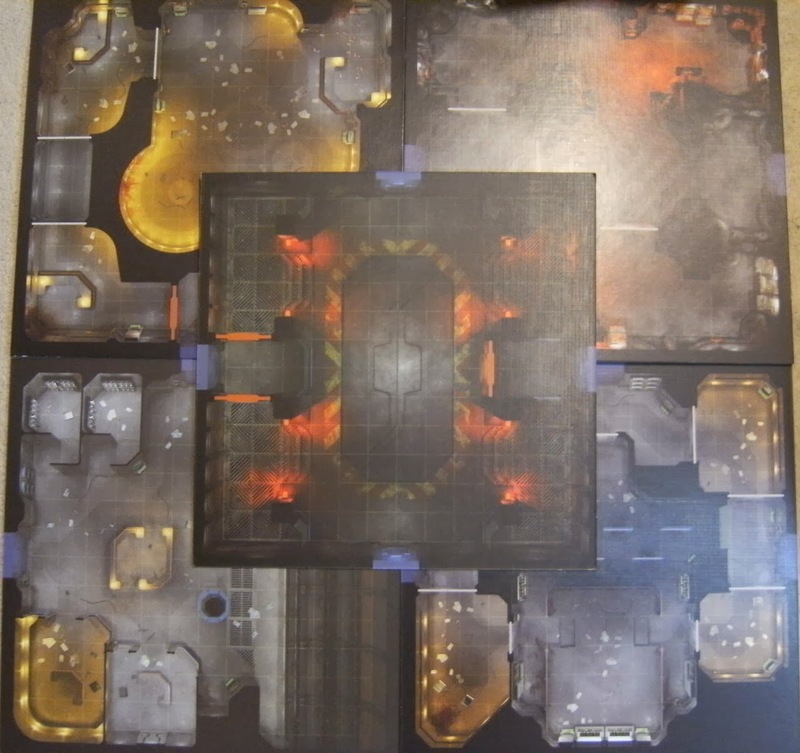 Sedition Wars has gone with more of a board game feel, with the box containing a set of 5 double-sided modular gaming board tiles, which can be arranged to create different scenarios. These contain nice levels of detail and are printed onto thick, high quality card, much like standard game boards. If any readers have had the pleasure of playing Zombicide, they'll know the kind of thing we're talking about. Scenery! Lots and lots of scenery! 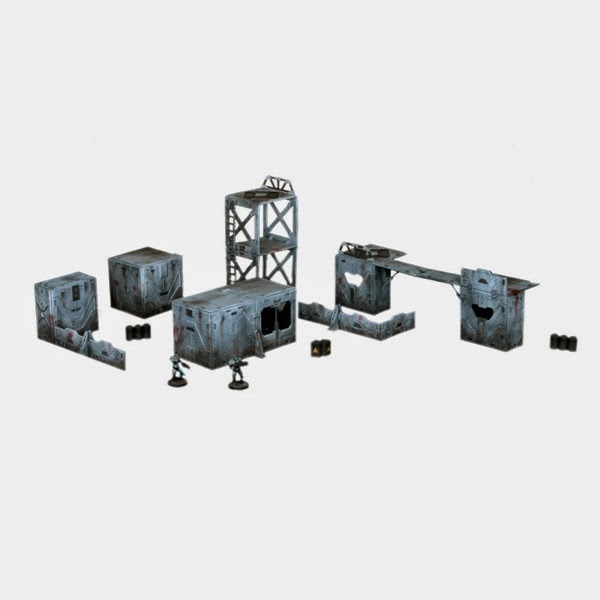 The Deadzone box contains all of these scenery and accessory sprues as standard, allowing players to build a small city on their gaming mat and litter it with battlefield detritus and objectives. Here's the finished product. The fact that these can be stacked and moved around the gaming mat allows for full customisation of the playing area, and Deadzone certainly racks up points for immersiveness by giving players a full three-dimensional battlefield to wage war on. An interesting point to note is that the images in the Sedition Wars rulebook do show games being played on boards augmented with similarly well-detailed terrain pieces, but these aren't included in the starter set, so any straight-from-the-box gamers like ourselves are just left to the imagination on that front, being left with a flat gaming board to play upon. Of course this isn't a major objection as most board games are the same, but for comparison purposes it had to be said that Mantic scored some brownie points on this front. Seeing as we just mentioned the Sedition Wars rulebook we might as well take a moment to look at the pair of them. Straight away Mantic have thrown down the gauntlet, with Deadzone's rulebook being very much a bound book in its own right. The Sedition Wars rulebook by comparison is still sizeable, but doesn't have that same feeling of opulence when flicking through its pages. Sedition Wars: She'd better watch where she's pointing that thing! Inside, both are of a similar nature, containing exactly what you'd expect from a rulebook. Both give a rundown on the games' warring factions as well as a brief background to their respective universes. The rules are obviously covered, and both include details for running campaigns if you fancied something more in-depth than a simple one time game. There are still a couple of elements to follow, but we'll move onto the big one now: gaming pieces! The many and varies bags of Sedition Wars. The less many bags of Deadzone. 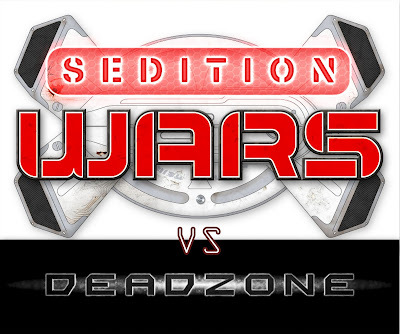 From a first impression, Sedition Wars does seem to take a lead over Deadzone in this respect, with the box featuring 50 miniatures to Deadzone's 23. 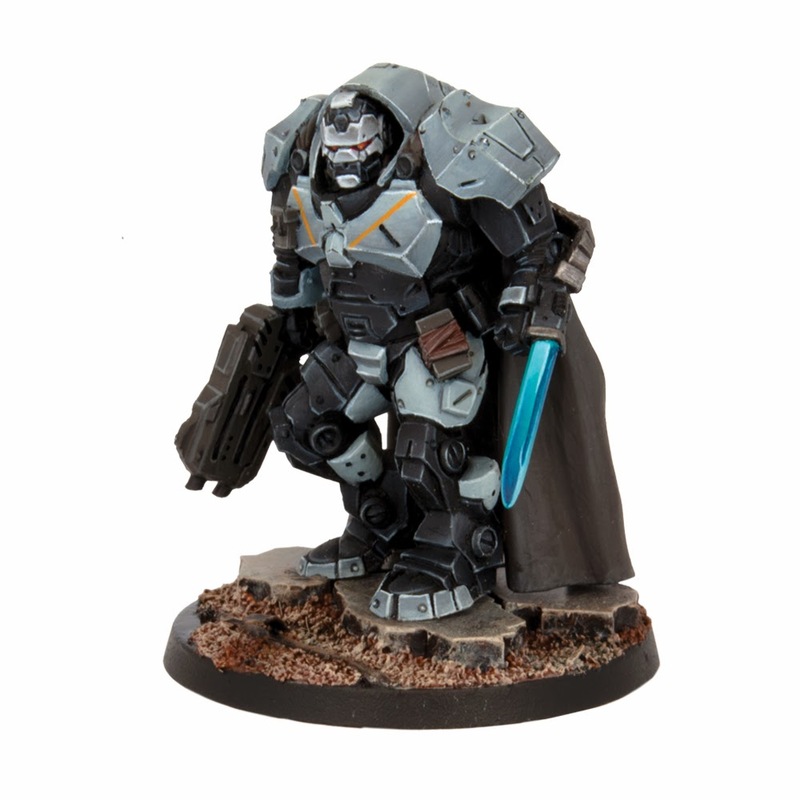 With both games having that tabletop element, these are provided unassembled and unpainted, with players needing to rely on their hobby skills to get them ready for action. This does make the higher model count something of a double-edged sword, as it's great to have more toys to play with, but obviously means more prep-time is needed before they're ready to go. Of course, Deadzone's scenery sprues will go some way to balancing this out. The level of details on both sets of models is certainly very nice, but Deadzone claws some points back from Sedition Wars with regards to casting quality. Whilst both will need some filing before assembly to rid the models of unsightly mould lines, those in Sedition Wars do feature considerably more flash which needs to be clipped off before assembly. This might not sound like much, but with 50 models to trim back we can bet it's going to be a time-consuming process!. Some lovely models here on both sides. From a personal point of view, we have to say we prefer the humans of Deadzone's Enforcers over those of Sedition Wars' Vanguard. The stylised oversized heads and hands of the models has never been something we're fans of, much preferring the normal human scaling favoured in the Deadzone range. 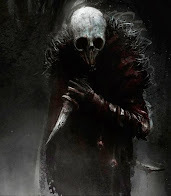 However when it comes to The Strain vs Plague it's a much closer run thing! 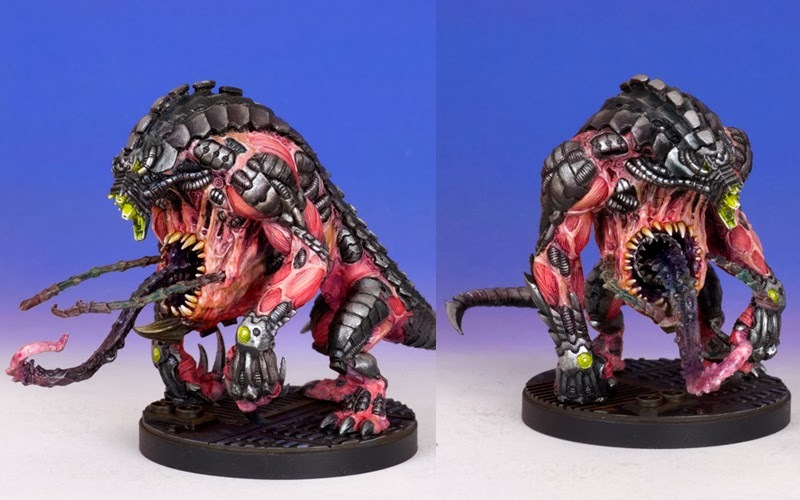 With no scaling standard when it comes to genetic abominations, these figure ranges boil entirely down to the detail level in the castings, and as you can see above there's not much between them! At a push we'd probably say we just about favour The Strain, but again that's personal preference entirely. There are two further points that must be raised here, both in favour of Sedition Wars. First of all, the bases included with its models are scenic, making the miniatures look as though they are standing on the decking of a ship rather than the plain smooth bases of Deadzone. Secondly, the bases have handy little slots underneath them for clipping in plastic markers to signify status changes in the characters. This is a very nice touch, and makes a refreshing change from having to place tokens next to miniatures or beside their character cards. Kudos to Studio McVey for this simple, yet innovative idea. The character cards of Sedition Wars. The faction decks of Deadzone. With any kind of system like this, sets of cards are usually a given. In the case of Sedition Wars, stat cards are provided for each miniature, giving players a quick-reference guide to their stats and abilities. With Deadzone it's a little different. Both sides have a 54-card Faction Deck. As well as statistics for each miniature, this deck also contains actions and objectives, mixing things up a little and giving an extra level of depth to the game. Sedition Wars certainly isn't shy on the token front. ...but neither is Deadzone, come to that. Both games feature a plethora of tokens, to signify all kind of weird and wonderful things (we could go into detail, but that would probably require a whole article to itself!). More isn't necessarily better when it comes to tokens, so there are no points to be dished out there, but in terms of quality the tokens from Sedition Wars are printed on higher quality card, and so will probably take more punishment before starting to go dog-eared. However, they are only printed on one side, which is unusual for game tokens, and so unless players are incredibly well organised it may be a nuisance trying to find the one you're after in a hurry. The only unmentioned aspect of the box contents is the dice, as there's nothing particularly special about dice! Sedition Wars works on a D6 system, and so contains 8 standard D6's, whereas Deadzone is based on D8's, so contains 6 of these. To end this box contents comparison we will make a quick note on the actual box interiors, as these can be something of a sticking point for us, as mentioned when we reviewed Bioshock Infinite: The Siege of Columbia. Sedition Wars doesn't feature the greatest box insert in the world, but there's something there at least, and it features the same artwork as on the box cover. The channel down the centre is enough to contain the tokens and cards, although doesn't really provide much protection for the miniatures (especially once they've been lovingly painted!). The raised sections to the side allow the boards and rulebook to rest snugly on top, so all-in-all Sedition Wars is designed to be carried around as a self-contained unit. Deadzone on the other hand, is a plain white box on the inside (hence us not bothering with a photo. There are no sections for keeping the cards, the dice, the tokens... anything, basically. It's a sizable box, and if you were to attempt to carry it around then we wouldn't like to imagine the state your various game components would be in when you reached your destination. It seems very much as though it's been designed to be discarded after opening, requiring the additional purchase of some kind of carry-case to make transport feasible. Again, looking at this from a board gamers' perspective, it's a notch in the negative column for Mantic's new release. So that's the box contents of these two mammoth games! At this point it's difficult to say which of the two is coming out on top. 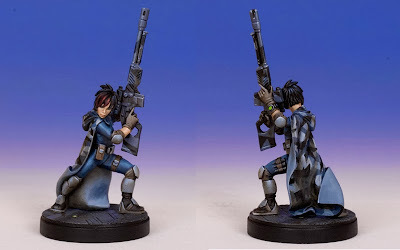 Sedition Wars boasts more miniatures, and there's not a great deal between them in terms of quality. Deadzone's scenery looks set to give a more immersive gameplay experience, but Sedition Wars' modular gaming board allows for a decent degree of customisation. Deadzone has the nicer rulebook, but Sedition Wars score points for including a box which can transport the game as a whole. From this initial comparison we'd probably say that neither games is shaping up to be a superior overall product, but Sedition Wars is in the lead as far as being a self-containted board game goes. With both systems looking very intricate it may be a couple of weeks before Part 2 of this comparison hits your screens, as we want to make sure we do both games justice! If you've been lucky enough to get your hands on an early copy of Deadzone though, or have played Sedition Wars in the past, we'd love to hear your opinions in the comments section. For now, take care, and happy gaming!